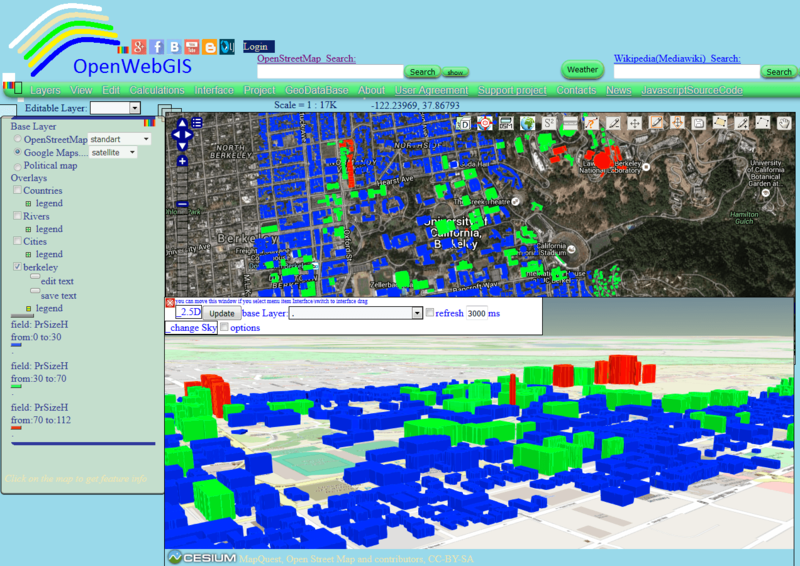 Perhaps you have already used in your work OpenWebGIS or just have seen it or read about it. Due to this system exists since 2014. But we will describe OpenWebGIS briefly. It is an open source online/offline geographic information system for work in web browser or mobile app. Since its foundation, a great number of users have benefited from using this system functions. “...Aquí van algunos ejemplos de lo que nos ofrece la red en estos momentos….software GIS de código abierto” (translating from Spanish into English, the system is mentioned among other solutions that the network offers right now). As professionals and enthusiasts in the field of programming and GIS technologies, we spend all our free time on developing OpenWebGIS and we wish to spend even more time doing it in the case of your support of our crowdfunding campaign. Taking into account all written above we think that OpenWebGIS can be taken as a serious really existing GIS (it is not raw material or a fake). It is a tool which people have already used and which you can trust. Surely the system still has some flaws and shortcomings that can even irritate those who first encountered it. But if you look deeper, you will see the great potential that the system contains. In order to make the system more functional, usable, user friendly and powerful there is a need to reveal its potential. It can be done together with you and your help. There will be new members in OpenWebGIS team. It is always open to your wishes, comments and criticism. Say what you like or do not like, offer what you would like to add to the system. create, export and add layers in many common geospatial formats (gml, kml, geoJSON, gpx, shapefile, tiff, arcgrid, csv, osm), make vector layers with points, lines, polygons, add WMS layers, use WPS, style your own data, share as embedded maps, share as web pages, customize interface, use many mathematical and analysis functions, create 2D, 2.5D and 3D maps. In Android App you can use sensors, WiFi statistic in you mobile device and refer this data to geographic coordinates. 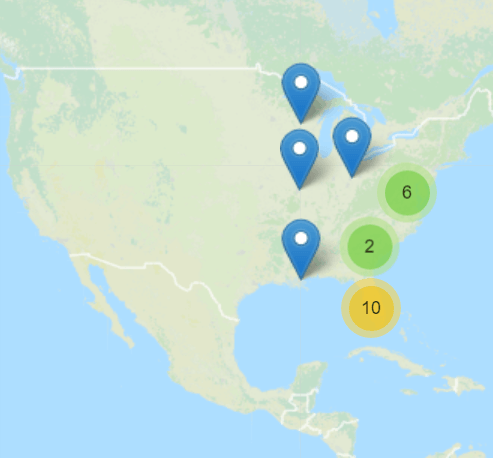 The OpenWebGIS blog and full list of articles about OpenWebGIS provide a lot of information about possibilities and specific features of OpenWebGIS. What is the main goal of this system? Its main goal is the creation of GIS that possesses all standard functions of online web GIS and what’s more that has a powerful set of tools for data scientific analysis (and not only spatial data), and a number of features that are interesting to a wide range of users, who are not necessarily keen on science. 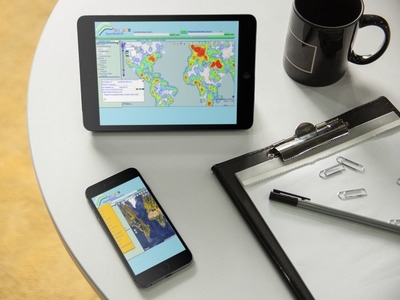 OpenWebGIS should become an accomplished Software as a Service (SaaS) cloud computing platform, taking into account that the users will be able to deploy their own instance of the OpenWebGIS. And everything is and will be (after extending the functionality) absolutely free and open. But in order to make it to a great extent, (i.e. a qualitative leap in its development) we need your not only moral but also financial support . Please support the crowdfunding campaign of OpenWebGIS (on Indiegogo) and repost this information among your friends. We have great plans for further progress and improvement of the system (e.g. remarkably enhance opportunities of manipulating with various raster formats, update authentication module and more). Please read about other tasks which will be solved with your help for the goal achievement on the page of crowdfunding campaign. Support open source software. Share our plans and be part of the process! Be involved with other users who believe in us and share our vision!